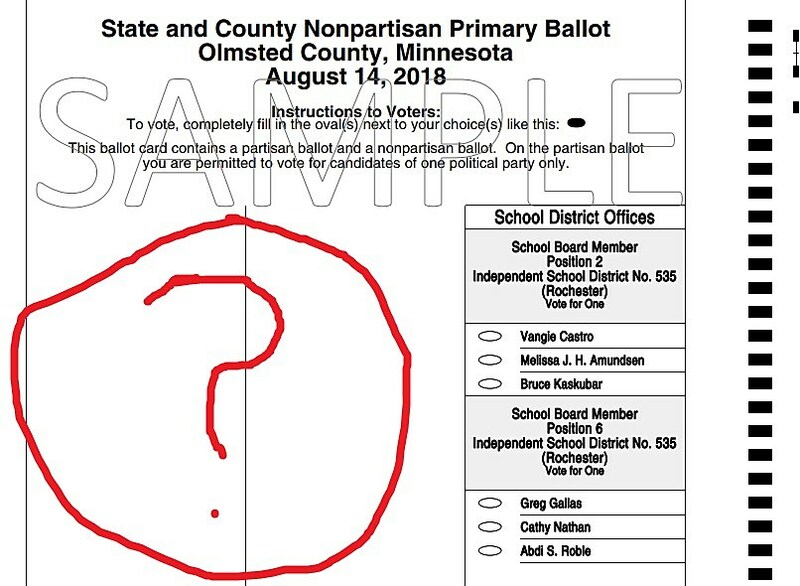 Was My Rochester Election Ballot Messed Up Tuesday? I like to think I know what's what with politics and elections. I read, study the issues, and keep an open ear to hear what's happening. But Tuesday, I freaked out a little. Not to the "go up and raise hell" freak-out stage. Just that, "Sitting here and suddenly getting sweaty 'cuz something is missing...I'm in the wrong place...oh my gosh I'm a dough-head, gotta not look stupid...what's missing...why isn't it here!" stage. I live with my sister and brother in law. When I registered to vote, I saw I was in Cascade Township, but I didn't think much about it. When I went to vote, it was at Cascade Township Hall, just off North Broadway at 75th Street. What's missing? Mayor and City Council! I freaked out a bit because I'd been looking forward to casting my vote for Mayor! Then it hit me, and I calmed down. I don't live "in the city!" And if you don't live in the city, you don't get to vote for that kinda city stuff. Total bummer. Fortunately, I think the city voters made some pretty good choices. Whew!